SEATTLE – Microsoft Corp. is bringing its video-game expertise to the forthcoming Windows Phone 7 line, an attempt to capitalize on the success of the Xbox 360 as the software maker tries to compete with Apple Inc.'s iPhone. The company is also announcing a preliminary lineup of games that will be available when the phones go on sale during the holidays. The list includes popular Xbox 360 console games such as "Halo Waypoint," "Crackdown 2: Project Sunburst" and "Guitar Hero 5," as well as newcomers including "ilomilo," a puzzle game in which players try to unite cute little cartoon critters separated by increasingly tricky paths and mazes. Microsoft is linking the Windows phone games hub to its Xbox Live service, which about 25 million Xbox and PC gamers already use to check out new games, keep track of scores and send messages to fellow players. On Windows phones, Xbox live members will be able to do those things, plus interact with their animated game-world avatar — a cartoon character customized to look like them. The software maker plans to make its games-related announcements Tuesday at a video game conference in Germany. While Microsoft has been working on its next-generation smart phone system, the iPhone and devices running Google Inc.'s Android system have exploded in popularity. Apple, in particular, has advertised its iPhone and iPod Touch — essentially an iPhone without the phone — as ideal mobile gaming devices. Microsoft's Xbox chops may help sway some phone buyers who are already into video games. 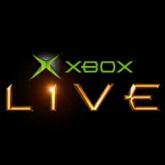 The company is also hoping that Xbox Live on Windows Phone 7 devices might get a boost from the upcoming launch of Kinect, a motion-sensing game controller for the Xbox 360. Like the Nintendo Wii, Kinect is expected to lure people who haven't traditionally been interested in video games.